Key Projects Awarded in September 2018. Cargill Meats (Thailand) Limited, a specialist in providing high-quality ingredients, meat and poultry products, and health-promoting ingredients and ingredient systems to food and beverage manufacturers, foodservice companies and retailers worldwide, awarded us a contract of the construction of the Structural and Architectural works for their existing primary processing plant in total floor area 600 m2. Their facility is located in Nakhon Ratchasima province. The Foundation Stone Laying Ceremony for the Khon Kaen Airport between Department of Airports (Thailand) and Christiani & Nielsen (Thai) Public Company Limited (CNT) on September 23, 2018. 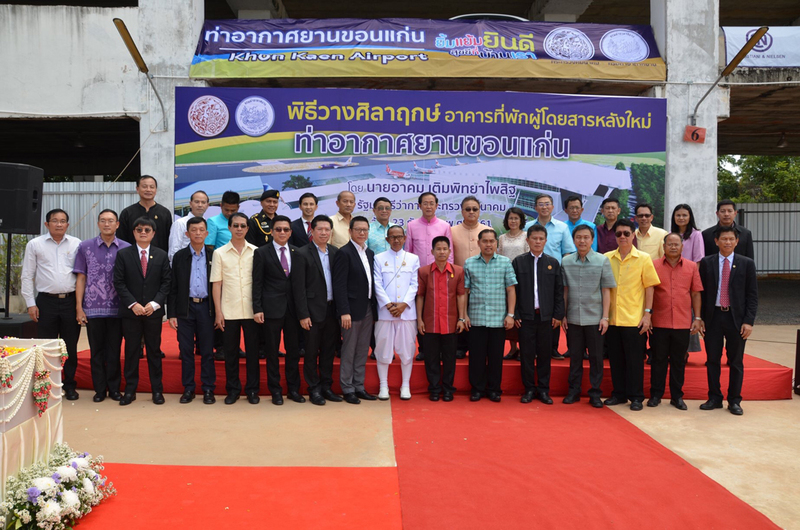 The guest of honor Mr.Arkhom Termpittayapaisith, Minister of Transport (Middle at upper row) presided over the auspicious event. Key Projects Awarded in March 2019. Key Projects Awarded in February 2019. Key Projects Awarded in January 2019. Key Projects Awarded in December 2018. Key Projects Awarded in November 2018.